Avra Water Co-op, Inc. | Welcome to AvraWater.com! Pay your bill online with Xpress Bill Pay! Check out the latest community news! Find out what's going on and check out the latest news in our community! Learn more about how you can conserve water and save money! Download forms for new service, temporary turn on, and more! View the Annual Water Quality Report with info and test results! 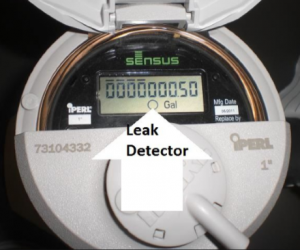 Do you know how to check your meter for leaks? Water leaks can cost you hundreds of dollars, so being able to read your water meter and leak indicator can save you money. We recommend checking your meter at least once a month. The link below will give you more information on how to read your meter and leak indicator. Occasionally, we will have to shut-off water service in certain areas in order to do maintenance on the system. Whenever we have planned maintenance, we will post any possible shut-offs or traffic delays in this section of the website. Please keep in mind that emergencies do happen and there may be cases where we are not able to post a shut-off due to the urgency of correcting the problem. You can always contact the office with any questions. Avra Water Co-op, Inc. is a community owned, not-for-profit, water provider located in Avra Valley. We are located west of the Tucson Mountains, adjacent to the Saguaro National Park West. Our service area of 12.48 square miles is all located within unincorporated Pima County in the small community of Picture Rocks. 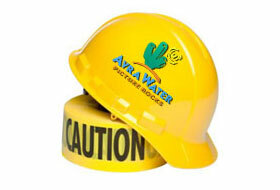 Avra Water Co-op, Inc. is an Equal Opportunity Provider and Employer.